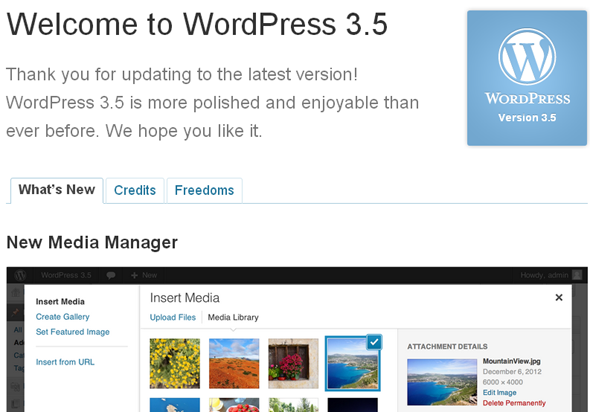 WordPress has just released version 3.5 of their popular blogging software. This updated is dubbed ‘Elvin’ in honor of musician Elvin Jones. This upgrade is really designed to enhance the experience on mobile devices (from an admin perspective) and more prominence around using various forms of media in your blog posts. The new WordPress package is 4.7MB and you can download it from http://wordpress.org/download/ or through your WordPress dashboard. Generally more crisp and clean layout thanks to the retina ready display.